Here are a few NoSQL Interview Questions for you! 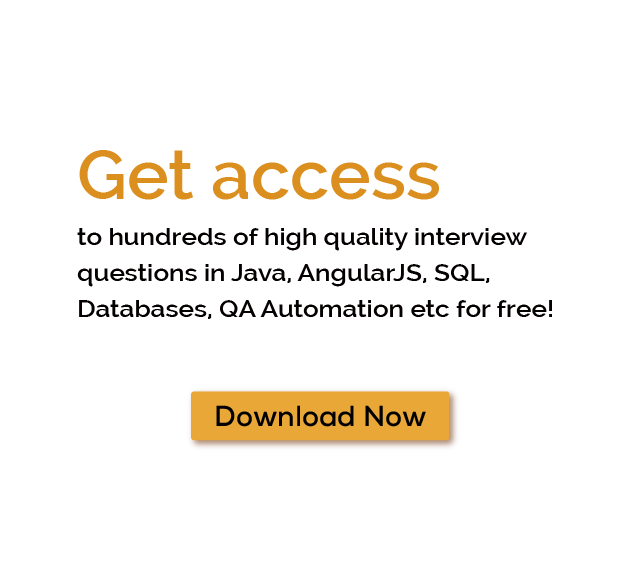 Download more High Quality NoSQL Interview Questions! NoSQL or non-SQL is a process for saving and retrieving information or collection of data. The data in NoSQL is not stored in the form of tables; instead, the data is stored in the form of columns, documents, key values, and graphs. NoSQL is used for storing huge amount of data and actual time applications of web. NoSQL is sometimes referred as Big database because of the huge amount of data it handles. Also, NoSQL performs faster operations when compared to other relational databases because of its makeup of data which is flexible. NoSQL is an open source language. The learners can get their NoSQL tutorial, which will help them to learn more about what is NoSQL. The users can store variety of information- The users can store unstructured, structured, and semi-structured information. Volume of data- NoSQL stores huge amount of data. Flexibility of the data structure- The data can be stored in the form of columns, graphs, documents, and key values. Economic-NoSQL databases can be installed easily in any system; even if the system does not consists of high configuration. Less complexity- NoSQL does its work efficiently and does not require costly administrators to install or repair the system. It manages the data very well. Speed- NoSQL works faster as compared to the other relational databases as it performs all the queries simultaneously. Summarizing data- More amount of data can be accumulated in fewer collections. Primarily, NoSQL db were created for saving non-relational data. They were made to overcome the limitations of the relational databases. The application of NoSQL is in web and cloud. Generally, there are four different Non SQL db. They are as follows. Graph databases - These types of databases consist of data, which is arranged, in the form of graphs. The elements of this type of database are connected to each other with the help of several unspecified relations. Column databases - These kinds of databases store the collection of data in the form of components of columns of information. The information is not stored in the form of rows. Key value databases - Key value databases store information without any structure. The data has an ordered key, which contains a specific value. Document databases - The data in this type of databases is stored in the form of documents, which are associated with a distinguished key. The keys are used for retrieving the document. Such databases are used for dealing with semi-structured data. Here are some points for NoSQL vs SQL. Type of database: NoSQL is non-relational database or distributed database. In NoSQL, the data is not saved in the form of relations. Whereas, SQL is relational database and the data is saved in the form of relations. Database structure: The structure of database in NoSQL is dynamic. The NoSQL databases are used in storing unstructured data. Therefore, NoSQL is also called as UnQL or unstructured Query Language. On the contrary, the structure of SQL or Structured Query language is pre-defined. Scalability: The databases in Non SQL are horizontally scalable, and databases in SQL are vertically scalable. Scaling the databases: The scaling of the Non SQL databases is done by incrementing the servers of the databases in the infrastructure of the database. This helps in reducing the load. Moreover, the hardware’s horsepower is increased to scale databases of SQL. In NoSQL, the queries lay emphasis on the information or collection of data. Moreover, SQL focuses on defining and altering data. Complexity: NoSQl cannot handle high complexity level, as it does not have high-level interface. Therefore, the queries in NoSQL are simple. However, the queries in structured query language are complex and powerful. Data storage: Non SQL data can store hierarchical data as it goes in accordance with the key value pair way for storing the data. On the contrary, Structured Query language cannot store hierarchical data. Data transaction: NoSQL is not fit for high-level data transactions, as it is not much stable. Moreover, SQL databases are fit for high-level data transactions, as they are stable. Properties: NoSQL works in according to the theorem, which has concept of Partition tolerance, Consistency, and Availability. Whereas, SQL works according to ACID properties (Atomicity, Consistency, Isolation, and Durability). Some examples of NoSQL db are MongoDB, BigTable, Redis, RavenDB, and CouchDB. And, some examples of SQL database are MySQL, Oracle, MS-SQL, Postgres, and SQLite. Some of the many NoSQL Interview Questions listed below will help you get an idea about what questions gets asked in such jobs related to Software Engineering & Tech. Get through the NoSQL Interview bar with our selected NoSQL Interview Questions for all NoSQL enthusiasts! For thousands of similar NoSQL Interview Questions login to our Website or download EduThrill. Experience the thrill of challenging people around the world on NoSQL Interview Questions!